Before we go over what happens next, here’s a recap of what happened at the first meeting for those that couldn’t make it. 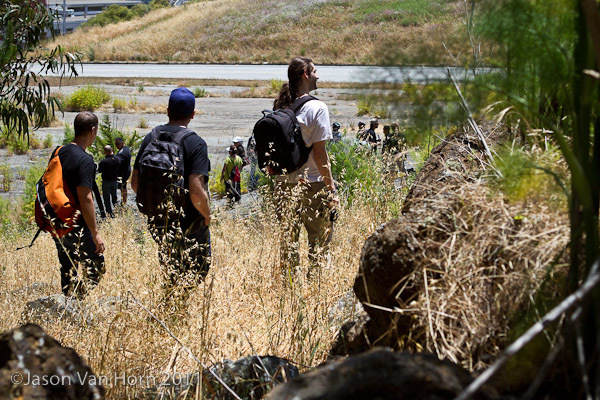 After everyone had assembled at the community center and picked up maps, bike park enthusiasts headed over to the potential park site to assess the space in person. We had a slight delay in getting started, as there was a golf advertisement filming when the group arrived. Our group waiting patiently until they finished their final takes; then it was time to walk around and explore the space we would be working with. The space is larger than it appears at a first glance. While a number of us have been to the prospective site, walking through the entire space really demonstrated that the space feels larger that one’s first impression, especially if the space in the trees becomes available. 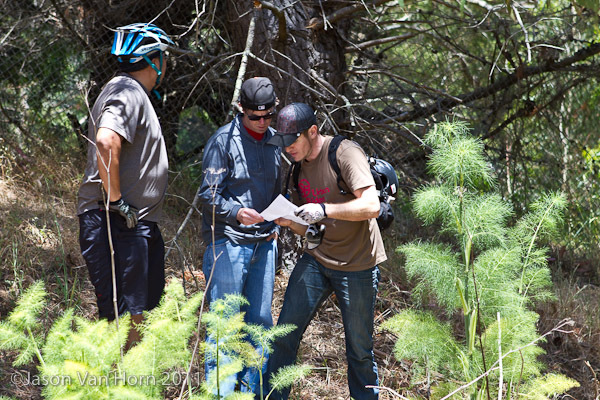 Matt and Jesse, designing their dream bike park. 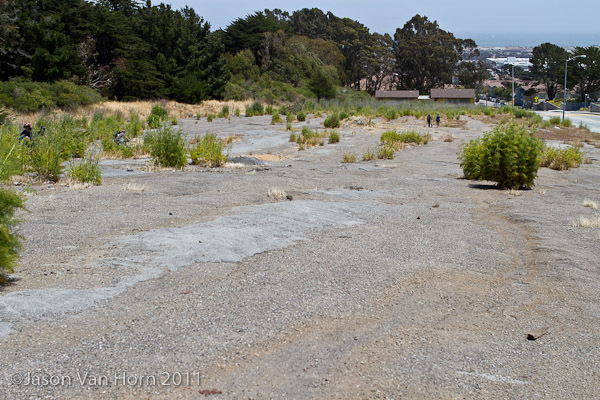 A number of ideas were batted around by those present, and splitting up, we wandered through the site to get a feel for the site, and began to work on envisioning our dream bike park. After some time, the group headed back to the community center for the official meeting. Alex Randolph from SFRPD welcomed everyone. Dan Schneider, SFUR Executive Director talked about the mission of SF Urban Riders. Dustin Smith, MBP Project Manager explained the goals of meeting #1. Judd from Alpine Bike Parks gave a presentation about some of the possible features we could have incorporated into the park — pump tracks, flow trails, dirt jumps, wall rides and more were discussed. Getting a bike park built is a much bigger discussion than what kind of features we’ll want to ride though. Parking, bathrooms, windbreaks, and landscaping are just some of the additional details that need to be addressed in the design. Some of the local residents brought up a number of additional concerns regarding the space in general as well. Now - just an empty wasted space... hopefully not for long. 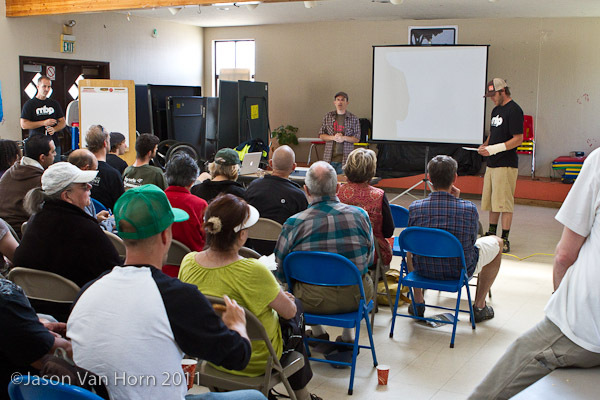 Judd from Alpine Bike Parks discusses the possibilities. Riders in attendance included freestyle BMX concrete park enthusiasts, cross country mountain bikers, and gravity oriented mountain bikers.